Report from Global Finance's Digital Bank and Innovators Conference. Report from Eurofinance's 27th annual treasury management conference. FinTech expert Chris Skinner discusses innovation, disruption and the bank of the future at Eurofinance's 27th annual treasury management conference. The longer the US-China trade war continues, the greater the risk of de-globalization becomes. Japanese investors are beginning to shake off their notorious aversion to risk and foreign companies and governments are taking advantage. Basel rules have created new opportunities for institutional and corporate investors in trade finance. AMLO transitions from campaigning to governing. 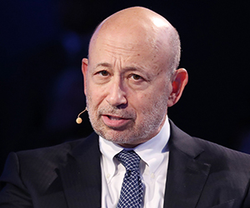 Environmental, social and governance concerns are becoming central to corporate finance. Is Islamic Finance New Or Old? The fourth installment of a Global Finance FAQ web series on Islamic finance. Trade tensions are just one aspect of deteriorating economic ties between the U.S. and China. Islamic Finance: Just For Muslim-Majority Nations? The third installment of a Global Finance FAQ web series on Islamic finance. Islamic Finance: How Does It Make Money Without Interest? The second installment of a Global Finance FAQ web series on Islamic finance. 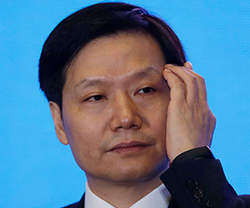 Billed as potentially the biggest IPO since Alibaba, Xiaomi's IPO comes up short. What Is Islamic Finance And How Does It Work? The first installment of a Global Finance FAQ web series on Islamic finance. 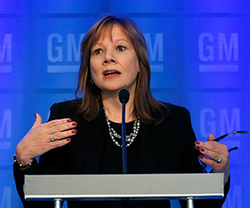 GM becomes the first automaker in history to have women in both the CEO and CFO positions. 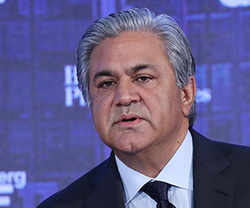 Abraaj's collapse raises fresh questions about transparency and regulatory norms in the UAE and broader Middle East. Under pressure from activist investors, company leaders are in a balancing act between the desire for greater margins and need to grow.